Zelzer Group at The University of Nottingham: Science Communication: Artificial Snot! In a bid to inspire the next generation of scientists, Mike and Mischa together with other researchers from The University of Nottingham took a trip to Riverside Primary School to present fun scientific experiments. This included, much to the students delight, artificial snot! The components of the snot much like real life mucus were proteins (gelatin) and sugar (syrup). 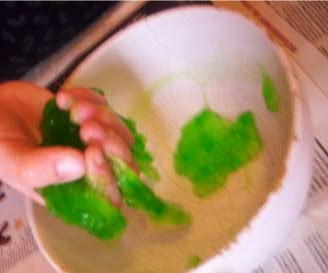 While making snot as an experiment was well received by the students, adding in some food colouring to create ogre or alien snot really brought out the squeals! Regular outreach activities are organised by the School of Pharmacy at Nottingham University.